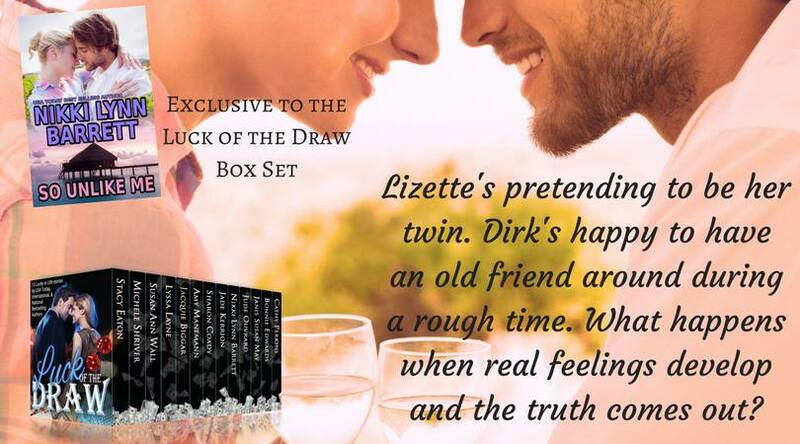 A new, fun themed boxed set is coming May 11th! Luck of the Draw is full of luck and wins! From sweepstakes to lottery to gambling, everyone wins some! So, here's Chapter One of So Unlike Me! “Don't speak that name,” she seethed. Lizette's ex-fiancé was a hot topic lately, especially in the last few months when he threw her life in complete and utter uproar. A breakup was bad enough. He had to add public humiliation, lies, and slander to the list. Because Lizette and Nola were well known heiresses, of course the break up was in the spotlight. The unwanted attention forced her to keep her head low to figure things out. It came out of nowhere. One day, she'd been contemplating wedding things, wondering when Chip would commit to a date. He wanted it sooner, and didn't like the idea that he had to sign a prenup, forced upon Lizette by her parents' will. It made her question his motives, because if he'd loved her for the person she was and not what she represented, wouldn't he have been okay with it? Why did things have to become so complicated? That and Chip pulled it off on national TV. Some stupid reality dating show, Rebound, if she recalled correctly, where they go on and talk about all the things their exes did to hurt them. Then all season, the hosts would help them find a rebound date. Can we say train wreck? “Enjoy myself. Right,” Lizette muttered, mulling over the idea. Damn it, she didn't want to admit quite yet that her sister had a decent idea. Getting out of California could be exactly the cure she needed. “I don't, actually. I'm not the one who sits around the house watching stupid reality TV and entering sweepstakes.” At Nola's surprised gaze, Lizette clamped her lips shut. Big mistake. Bad, bad, bad move. Nola's eyes watered. Yeah, she said that already. “Where's the vacation location?” Lizette treaded carefully. Nola would find any way she could to con her into saying yes, even when Lizette wasn't certain about any of this. “Seriously?” She whistled. Okay, this might be worth considering. “Well, don't get arrested, killed, or kidnapped. Simple.” Nola chuckled, crossing her arms. “A week in Paris. A week away from the media. A-” Oh, she planned to lay it on thick. Damn her! “Nola!” Lizette cut her off. Her sister could be so reckless at times. Lizette sighed. How did her sister always manage to get into these situations? But damn it, Paris was tempting! And she could post photos all over her social media accounts and make Chip jealous. Strike that, no she couldn't. Not as Nola. Okay, so that part was out, but Paris? Turning that trip down would be a mistake. How am I seriously even considering this crazy scheme? “So people actually entered the sweepstakes, huh? You think twenty winners are going to be satisfied by coming here?” Dirk Ramsey folded his large frame onto the chair across the table from his uncle Max. Dirk had actually helped sponsor the sweepstakes, not because he thought it would pan out, but because his uncle was the only good family member he had left, and the soft-hearted guy he was couldn't say no when Uncle Max's desperation put his health in jeopardy. Instead of taking the offer to help with storm damages, Uncle Max had this insane idea about a sweepstakes to bring in out of towners, showing them the best of the town during an annual event. “Discover a singer and keep 'em away from Nashville.” Dirk chuckled, warranting a warning glare from his uncle. “You'd better. I don't want to hear in the middle of the night that my only family had a heart attack due to stress. Let's just hope this works.” Dirk shifted positions again. “Because when she realized I wasn't coming back right away, she left me,” Dirk replied, thinking of the woman he'd almost proposed to. Go figure. When he put his heart out on the line, he got the raw end of the deal. It had taken a long time to decide, and he wondered now if he'd only thought about proposing because he'd been comfortable with her. When it came down to it, Dirk didn't love her the way he thought he should. That was almost a month ago, and he'd been quiet about it. He wasn't about to lie to his uncle, even though Max would feel guilty for keeping Dirk away from home and his life for so long. “It's her loss.” Her loss, and his realization that it was better this way. Being comfortable with a woman wasn't enough to last a lifetime. “See? Your old uncle can still produce a few good moves.” Uncle Max winked, running a hand through his thinning silver hair. “A week.” The look of panic reappeared on Uncle Max's face. As suspected, he wasn't fully ready. Or maybe he was, and just had a case of perfectionism. Damn. Not a lot of time. “Is the inn okay after that last storm?” Too many deadly and costly storms rolled through here recently, leaving Paris and surrounding communities on high alert. “Just about. I have a small list of things needing to be done before they get here. You win bowling tonight, and I won't ask anymore of you. You lose, and the list is yours. Feeling the pressure?” Uncle Max let out a wicked cackle. “I always feel the pressure. You know what would be hilarious? What if someone didn't read the fine print on the sweepstakes and thought they were going to Paris, France?” Dirk laughed at the image flashing in his mind of an angry person discovering how far off the mark they were. He wasn't one to mock people, but if someone didn't read all of the details, that was on them. Paris, Tennessee was a far cry from Paris, France. Despite how much effort and money he'd invested into this whole plan, Dirk wasn't convinced it would turn out as well as Uncle Max hoped it would. Stay tuned for more first chapter spotlights from the Luck Of the Draw set! 99 cents, or FREE in Kindle Unlimited. All stories are new and exclusive to the set. Today's First Chapter Spotlight is on Sharon Coady's MELANIE'S CHRISTMAS GIFT, just one of twelve brand-new stories in Christmas Pets & Kisses. This 12 book boxed set releases October 11th! The day of the wedding finally arrived with everything moving smoothly, and everyone going about their business except Anne, who missed Melanie being underfoot. Kyle insisted on taking her to his house last night, saying he didn’t want to tempt fate. To top it off, Kyle’s mother had insisted on coming over to help Anne get ready. She didn’t know his mother and hadn’t seen her in years. Maybe wanting to get married so quickly wasn’t such a good idea after all. It had been her idea to have the wedding quickly and try for a baby right away. Having another great-grandchild was all Pop could talk about. “Yep, I’m ready. Question is, are you?” His eyes crinkled as his grin spread over his mouth. “Yes, I am. I’m so excited. I can’t believe the day is finally here. I’m glad you’re going to walk me down the aisle. I know you’re not crazy about being around so many people, but it means a lot to me.” Anne grabbed a cup from the cabinet and poured hot water from the tea kettle into her cup, before taking a tea bag from the covered container. “Nothing is stupid. Tell me,” he ordered sternly. “What if her mother shows up after all these years? Will she still want me to be her mommy?” Anne lowered her eyes as she felt the heat from the blush spread over her face. “Well now, that’s not a stupid thought. But she left that little girl years ago. Why would you think she’d show up out of the blue?” He placed his hand under her chin, gently lifting her head so he could look into her eyes. “I don’t know. The thought has prayed on my mind the last few days. I’m worried if she comes back, Melanie will want her and not me. Oh, I sound so selfish, don’t I?” She pulled her teabag from the water and wrapped the string around the spoon, giving it a little squeeze before placing the teabag on her saucer. “Nope, you sound like a stepparent that is worried about a birth mother. I’ll bet they have some sort of group for this.” The corners of his mouth turned up. “You watch too much reality TV.” She couldn’t help but giggle at his comment. “We need to leave by eleven. Kyle is coming by to pick you up. It really means the world to me that you’re giving me away.” Anne felt she couldn’t express enough how much it did mean, and she wanted him to know it. “Oh, I’m not giving you away, I’m sharing,” Pop huffed as he filled his coffee cup. “Stupid words, giving away. 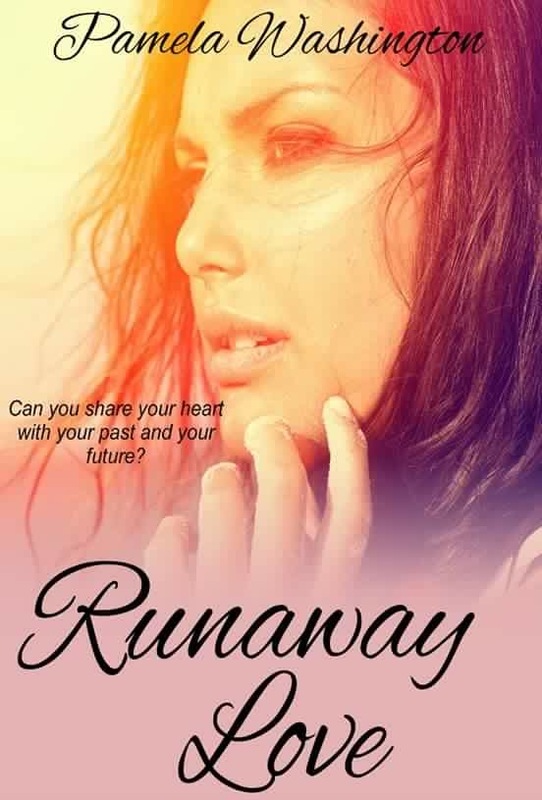 You don’t give someone away,” he mumbled under his breath. “I’m not worked up, I’m just saying it seems like a dumb thing to say. Are you making me my oatmeal this morning?” he grumbled again. “Yep. Sit down and let me get it for you.” She kissed his cheek. She measured the water into the pot, added the long-cooking oatmeal, and turned on the burner. Anne smiled. “I know she would have.” She missed her gram so much; the pain of losing her didn’t seem to lessen as the time went on. Even while she and Melanie had been shopping for their dresses, she wished her gram had been there to help her choose hers. “She loved Kyle. This would have made her very happy.” She stirred the oatmeal as it slowly bubbled. He took his cup and shuffled to the table, finally sitting down. “I’m hungry. Are you going to talk or fix my breakfast?” His eyes twinkled as his mouth turned up in a crooked grin. Mavy appeared from under the table and sprung into his lap. She leaned up against his belly and purred. “Stop being a rascal. You know I’m making it for you.” She sighed as she spooned the oatmeal into his favorite bowl. “I think I’m a bit nervous, too nervous to eat.” Her stomach was doing flip-flops this morning. “I haven’t met some of the people Kyle’s mother invited. It turns out he has a rather large family. We’d planned on a small wedding, and she sort of changed that. I guess it’s making me nervous. It’s just been you and me for a long time now.” She wrung her hands before tucking a strand of hair behind her ear. “Nope. I’ll eat this and start getting myself ready, you have to be there at eleven, but Kyle said he would pick me up about nine. I guess we have to get to the church to make sure everything is set up right. He said he needed my keen eyes. I think he just wanted to get me out of your way.” He snickered. “That’s not true. Kyle likes spending time with you, and you are not in my way. Well, having a couple of strange women in the house, fussing over me and helping me get ready, might get in your way. I’ll see you later, Pop.” Anne hurried into the bathroom and started the shower. I’m worried they’ll get in my way. She finished her shower and dried her hair. Looking at her reflection in the mirror, Anne couldn’t believe how happy she looked; her expression was radiant. Kyle and Melanie had made such a difference in both her and Pop’s lives. I hope I get pregnant right away. She and Kyle had talked it over, and he’d agreed with her they needed to have a baby quickly. Pop was doing okay, but Anne could see he was getting weaker. She wanted to give him this one last wish. He missed Gram so much, and at times, she thought the grief overwhelmed him. She knew he tried to hide it, but his eyes always gave him away. It tickled her that he was trying his best to smile and welcome everyone into their home. Pop never was one who liked crowds, especially crowds that he didn’t know coming into his home. He could be a downright cranky beast at times, so this was a pleasant surprise, and she felt her anxiety lessen. Once the women were introduced, Kyle took Pop’s suit bag off the closet door as Pop headed for the door. “Just a moment, son.” Pop turned and glanced at Anne. “I love you, girl. See you at the wedding.” He lifted his hand and waved. Tears welled in her eyes as she waved back. “I love you too, Pop.” Before she had time to think any further, the women surrounded her, chatting about her hair, her beautiful skin… Anne smiled and nodded, but she let her mind wander, as their chatter became nothing but background noise. She thought back to the day that she and Melanie had gone dress shopping. When Anne had told her she also thought it was perfect, Melanie was so excited she kept twirling around and around in circles. She had wanted to wear it home and almost cried when Anne told her they had to pick their dresses up later. After trying on almost every pair of shoes, Anne had finally convinced Melanie to get the white Mary Jane’s with a strap. Melanie had to walk up and down in front of the mirrors, looking at her feet before she declared the shoes perfect for the wedding. “I promise. I can keep the secret. 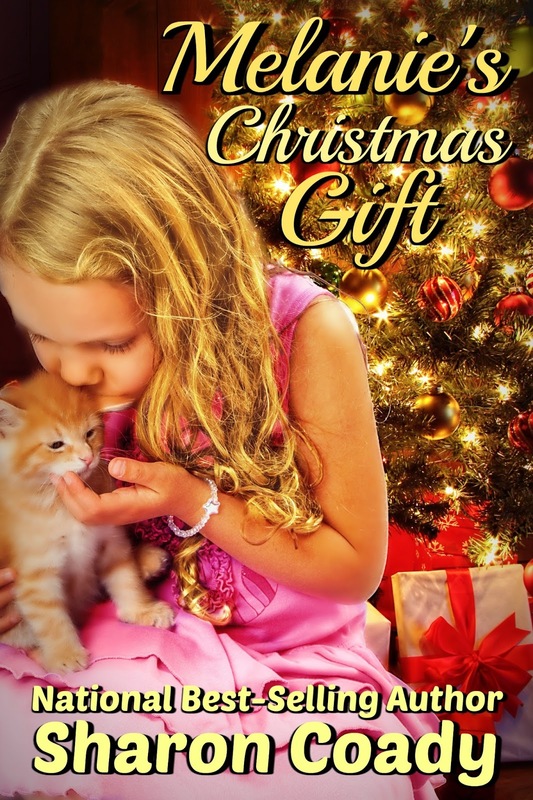 I kept the secret about your presents!” She had beamed as Anne hooked her into the car seat and kissed her on the tip of her nose. Her gram’s face came to mind again, making her sigh. “Anne? Dear, are you all right?” Nancy patted her arm. “Yes, I’m sorry, what did you say?” She hadn’t realized how deep in thought she’d been. “I’m fine. I was just thinking about my gram. I miss her and I wish she could be here today. Did you know she and Kyle stayed friends all these years? It makes me sad. I feel like I missed out on so much of their lives when I moved away to start my own.” Anne knew she was rambling; she always did when she was nervous. Anne nibbled on her bottom lip. “You knew he still talked to them?” She knew these feelings were silly, but she knew so little about his relationship with her gram. “Yes. I think it was his way of still feeling close to you. I was very upset with him for keeping Melanie a secret. I told him you and your gram would accept her. I’m sorry Melanie will never know her. You didn’t know this, but I always thought what you and Kyle had all those years ago was the real thing. It seems I was correct.” She smiled and touched Anne’s shoulder softly. Anne sat back and crossed her legs, feeling a little of the tension release. “Melanie is a wonderful little girl. He’s done an amazing job.” Sighing with happiness at the thought of Kyle and Melanie again, she turned and smiled at Nancy. “What should I call you now that we’re getting married? I feel I don’t know you very well yet.” Anne gazed at the woman who was going to be her mother-in-law in just a few short hours. “I can do my own makeup, and I was just going to pull my hair back from my face with these clips I picked up.” She pointed to her dresser as she sat down. “Aunt Kim?” Anne looked in the mirror at the unfamiliar lady standing behind her. “Could you keep my hair simple, please? I don’t want anything elaborate. I don’t feel it would go with my dress. Wait a moment. I’ll get my dress so you can see what I’m saying.” She shot up from the chair and hurried to her room, closing the door behind her. Taking a couple of deep breaths, she took her dress off the hook, put a smile on her face before she opened the door, and hurried out into the dining room. “Here it is.” Anne held up the Tiffany blue, off-the-shoulder dress she’d chosen. It was fitted at the waist with a gathered, tea-length skirt that flowed perfectly over her hips. She had seen it as elegant yet soft. Anne had never wanted the traditional white wedding gown. She found herself holding her breath, waiting for their reaction. “May we come in?” Nancy stood in the doorway beaming, her hands clasped in front of her. “Please! You can help me slip it on without messing up my hair or makeup.” Anne slipped out of her robe as Nancy and Kim helped her carefully step into her dress. Kim slid the zipper up and Nancy fixed the straps. “Don’t look yet. Where are your shoes? You need to see the complete look,” Nancy exclaimed. “They’re on the bed in the box. I won’t peek. I promise. Would you also get my necklace there on the dresser?” Anne giggled at their excitement. Kim was standing in front of her, so she couldn’t see in the mirror. She closed her eyes, wishing for the hundredth time today that her grandmother was standing with her. Anne smiled and nodded her head. “I won’t,” she whispered back. “What? He will and you know it,” Nancy declared, placing her hands on her hips. Aunt Kim stepped to the side, and Anne’s breath caught. There, in front of her, stood a stunning, gorgeous woman. The dress complimented her pale skin as her hair pooled around her shoulders, framing her face. Her green eyes sparkled and the makeup was just smoky enough to make her appear elegant. Anne turned her face a little. “What did you do to my lashes?” She was amazed because she had little baby lashes. Now they were voluptuous and full. Christmas Pets & Kisses 2 is coming! I'm sharing first chapter spotlights, and today's spotlight is on Michele Shriver's Home For The Holidays! Her personal and professional life at a crossroads New York lawyer Melanie Holister returns home to small town Iowa for the Holidays, where she crosses paths with her high school crush, Kaeden McGrath. Can Kaeden and his bulldog Spike help Melanie find happiness in the hometown she once couldn’t wait to leave? Melanie Holister left civilization behind as soon as she got past Des Moines, carefully navigating her rented Dodge Charger on the road as a light dusting of snow fell from the sky. It probably wasn’t the best choice of car for winter in Iowa, but if Melanie had to go back to Mill’s River, she at least wanted do it in style. She still couldn’t believe she was returning to her hometown, twelve years after she’d left it behind for Columbia University and what she was sure would be greener pastures. On the day she left, Melanie vowed she’d never be back. For twelve years, she’d managed to keep her promise, making sure family holidays were spent either at her place in New York City, or her sister’s house in Minneapolis. The latter was a compromise once their parents complained about the long travel to the Big Apple, and Melanie was happy to make it. She loved her family, and she even liked the city some referred to as the Mini-Apple. It was Mill’s River she couldn’t handle. Yet here she was, headed home, and worse yet, with her proverbial tail between her legs. No boyfriend, and no job. Okay, that wasn’t technically correct. Melanie remained an employee of the prestigious Simmons Kline law firm, but she was just that. An employee. Not a partner, and no longer on the partnership track. For all the future she had at the firm, she might as well be unemployed. As for the other, Randy had ended their nearly four-year relationship two days after the partnership vote, when he made it and Melanie didn’t. He needn’t have waited so long. Melanie saw the writing on the wall as soon as she’d learned her fate with the law firm. 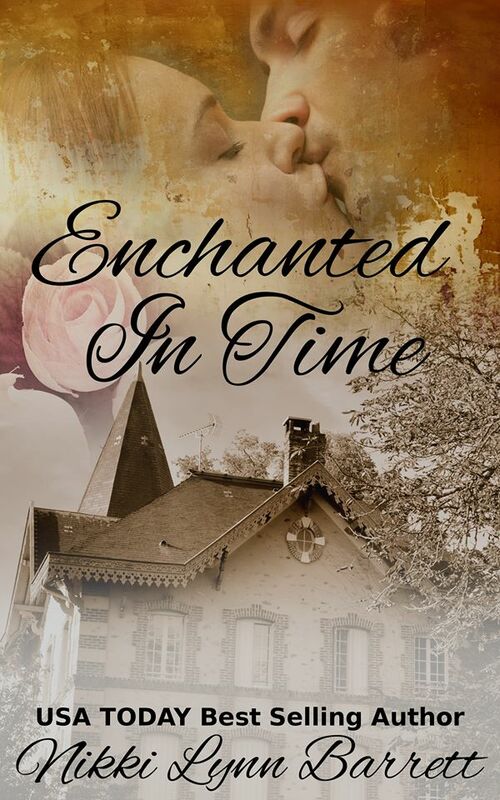 Randy’s wealthy family was all about status, and it would never do for L. Randolph Wentworth III to be in a relationship with someone who would never be worthy of that status. And if Melanie wasn’t good enough to make partner, she wasn’t good enough for Randy. Truth be told, professional rejection hurt more than the personal one. Although she’d shared some good times with Randy, lately Melanie had begun to think something was missing. She didn’t feel the passion for him that she wanted to feel for the man she would choose to spend her life with. No, she probably wouldn’t miss Randy all that much. But not making partner at Simmons Kline? That one stung. Melanie had wanted to be a lawyer since her earliest childhood dreams, and being told she wasn’t a good enough one to be partner was a bitter pill to swallow. Melanie slowed her speed as she exited the two-lane highway onto the county road that would take her to her hometown, and soon it appeared in her line of sight. Mill’s River, Population 1309, but that might have been a generous estimate. The population had been more than twice that when Melanie was a young child, but once the Mill’s River schools closed, consolidating with another nearby town, the population dwindled. Now, as she drove through town, Melanie observed it to be even more downtrodden than when she’d left. There was a convenience store and gas station on the outskirts, and the bank was still there, though the name had changed. The old diner remained, as well as Hap’s Pub, because every small town had to have at least one bar. And there on the corner of Fifth and Main, at the only stoplight in town, stood McGrath’s Dry Goods, as it had for almost seventy years. The light turned red, and Melanie stopped, turning her head in the direction of the store. Did the McGraths still own it? She assumed so, considering the name hadn’t changed. The door to the store opened, and a dark-haired young man stepped out, carrying packages for an older man, helping him place them in the back of his vehicle. Oh my gosh, was that Kaeden? It had to be. Melanie would know him by the way he walked, always purposeful and confident. And darned if he wasn’t just as handsome as before, if not more so. After a second look, Melanie concluded Kaeden was, indeed, even sexier than when they’d graduated high school a dozen years ago. And sadly, he was still stuck in Mill’s River. A horn beeped behind her and Melanie realized the light had changed. “Wow, are you in a hurry, buddy?” she muttered under her breath. “Bite me.” Sheesh. It was Mill’s River, Iowa, not Manhattan. Where did anyone need to be in such a rush? Couldn’t a girl even check out the view? She stepped on the gas harder than intended, accelerating through the intersection. Yikes. Hopefully the town’s one cop wasn’t lurking nearby. The last thing Melanie needed was a ticket in her first five minutes back in town. She turned on Elm, the street where she grew up, and pulled to a stop in front of her childhood home. The siding was new, and the lawn immaculate, which came as no surprise. Melanie’s parents had always taken great pride in their property. As she turned off the engine, the front door opened, and her mother came rushing out. “The flight was fine. Both of them,” she said, answering that question first. “And I’m okay, all things considered.” Her personal and professional life might be in shambles, but whatever. Plenty of people had it worse. “I’m glad you’re here. I’m sorry we couldn’t pick you up at the airport, but you know how your father is about driving in city traffic.” Her mother rolled her eyes, and Melanie stifled a laugh. was fine.” She opened the trunk and heaved her suitcase out. “Mom, seriously...” Melanie sighed. “Why would you do that? I don’t want to run the Christmas pageant.” She just wanted to rest, lick her wounds from the past week, and figure out what to do next. Yeah, and he was never much interested in me. “Whatever. I’ll think about it, Mom. No promises, though.” Still, she had to admit that spending time with Kaeden didn’t sound too bad at all. Kaeden heard the tires peel through the intersection as he helped his customer load his purchases into his truck. “Yikes. What was that?” He glanced up just in time to see a black sports car disappear down the street. It was almost five o’clock, so Kaeden went back inside the store and locked the register and turned out the lights. He didn’t bother to run the receipts total. There hadn’t been much, anyway. With a Wal-Mart twenty miles away, most people did their shopping there. Kaeden locked the door behind him and walked the block down to the pub. His high school buddy, Jon Barkley, stood behind the bar, and waved as he walked in. Kaeden nodded. His ‘usual’ was an IPA from one of Des Moines’ craft breweries, which, thankfully, Hap’s always had on draft. Kaeden knew that was the result of Jon finally taking over the pub from his old man. “Thanks,” he said, taking a drink from the glass Jon set in front of him. “This hits the spot.” He reached over and grabbed a handful of peanuts from the bowl on the counter. “Anything new around here?” If there was gossip in Mill’s River, the patrons at the bar would’ve surely filled Jon in. “Because Melanie’s hot, and she always seemed to have a thing for you,” Jon said. Yeah, that’s me. Good old reliable Kaeden. He drained his glass and set it on the counter. Kaeden laughed as he headed to the door. That was the thing about Mill’s River. It never changed. So why the hell had someone who claimed to hate the town come back? Well, it didn’t matter. Kaeden would be busy with the store and the pageant. He’d never have to cross paths with Melanie Holister, and that would suit him fine. He didn’t have time for anyone who thought they were too good for Mill’s River. Christmas Pets & Kisses 2 is coming October 11th, and I'll be spotlighting the first chapters of the books featured in the set! 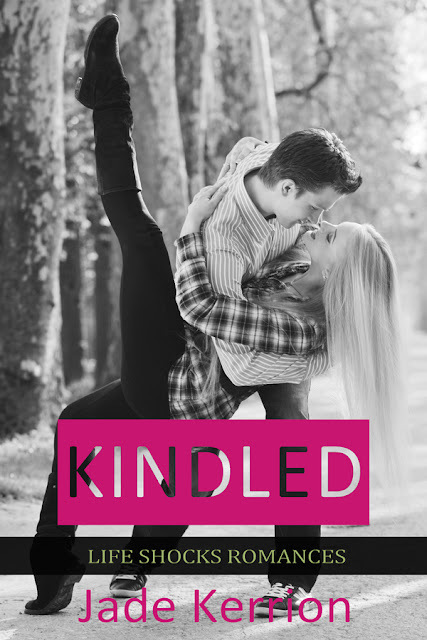 Today's sneak peek is Kindled, by Jade Kerrion. 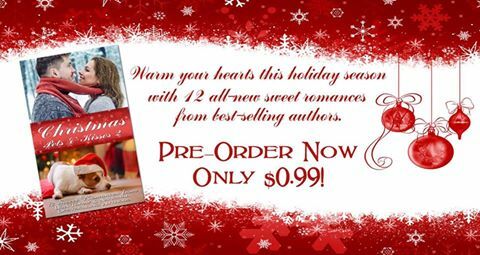 Preorder your copy of Christmas pets and Kisses 2 for 99 cents. 12 stories, one low price. All new sweet Christmas romances! Motorcycle headlights rippled through the night, turning the water droplets silver and the field of gravestones ghostly white. Nicholas Dragov swung his leg over the motorcycle. He was reaching for his helmet when motion flickered at the corner of his eye. He turned and scrutinized the graveyard, but he saw nothing out of the ordinary. He scowled. Of course nothing was out of the ordinary. No other sane person would be out here in this weather, at this time of the night, on Thanksgiving. He shouldn’t have been out here either, not when his parents were at home, working their way through the second round of their Thanksgiving feast. His glance fell on a particular gravestone framed by fresh flowers. Be seeing you around, buddy. The distinctive roar of his Harley Davidson engine coming to life cut through the soft patter of rain. With easy expertise, he turned his motorcycle onto the narrow road leading from Westchester Cemetery. He could make it back to his Manhattan apartment in a little over an hour, in time for a good night’s rest and the 8 a.m. master class tomorrow. He had only stretched for two hours in the morning, and his muscles felt tight from not dancing that day. He would pay for it in class tomorrow. If he did not dance for two days, his partner would notice. Three days, and the audience would. Ballet was the least forgiving of the arts, and a host of talented soloists eagerly waited in the wings to claim his position as principal dancer at the American Ballet Theatre. The familiar roar of the Harley’s engine kept him company through winding roads pockmarked by the light of occasional streetlamps. Westchester was no longer home, but he still knew his way around. Eight years earlier, he had turned his back on family and friends and fled to New York City. The eternal bustle of Manhattan kept the loneliness at bay. The punishing and unrelenting schedule of classes, rehearsals, and performances kept him from dwelling on his loss. He had a new life, and it was a great life. Everyone said so. Obviously—his mouth twisted into an ironic grimace—they must be right. An image of a whitewashed house tucked in a corner of a small Westchester neighborhood flashed through his mind. The neatly mowed lawn and freshly planted flowerbeds. The brown picket fence and the black Labrador reclined on the front porch, pink tongue lolling in a half-grin. The gabled red-tiled roof and a slim, feminine shadow at the window, looking out at him. With effort, he wrenched his thoughts away from the memory. His throat tightened. Hallucination. She’s never stood at the window looking out at me. Anyway, it’s all in the past. The headlights of passing cars whizzed by him. Rain pelted down, but traffic filled the narrow streets. Nothing as mundane as a thunderstorm could dampen the enthusiasm of pre-Black Friday sales. His motorcycle, however, allowed him to cut through the blockade of vehicles lined up to turn in at the mall. He was on the outskirts of Westchester when something large and black darted across the street. A curse tore from his lips as he swerved to avoid a crash. His motorcycle wheels spun, but failed to grip the road, and the machine crashed to the ground, sliding across the street. Sparks skittered as steel grated against asphalt. Nicholas tumbled from his bike; momentum sent him skidding over the street. White-hot shards of pain tore through his back, burning through the leather of his black motorcycle jacket. Wheels screeched, and cars honked. Headlights exploded into a blinding glare, and sound merged into a cacophony. His thoughts spun and twisted, gnarled into incomprehensibility by screaming pain—pain that stole his breath and blanked his mind. Pain that plunged his world into blackness. Hand? Where? He hurt. Everywhere. The sudden motion wrenched such sharp pain through him that he would have curled into a fetal ball if he could move. The jolt smoothed into a forward motion, and the darkness of the night overhead gave way to the sleek interior of an ambulance. Nicholas’s tongue felt like a block of lead, but he rasped out his father’s phone number. The effort sapped the remnants of his strength. Voices and conversations around him melded into a tangle of sounds, and when blackness drew like a veil over his eyes, he let go and let himself fall into a void. The first thing that penetrated Nicholas’s unconscious haze was the familiar stink of powerful antiseptic cleaners. The bright, unrelenting lights blazing through his closed eyelids were next. They twisted and turned his splitting headache through a psychedelic hell. His eyes—the only part of him that could move—flicked across the room. Slowly, sensations that weren’t shards of pain dribbled in. The stiff coolness of the sheets against the bare skin of his legs. The absence of pain or of any kind of sensation in his back. He stiffened, alarm widening his eyes. “My back?” His voice was rougher than sandpaper. The question stuck in his throat, unvoiced. He didn’t dare ask it.